Tucked away near the end of the “Let It Be” album George’s “For You Blue” is the one of the few straight 12 bar blues in the entire Beatles catalog. John plays a hyper-simple lap-steel part using a shotgun shel as a bottleneck. George references this when he says "Go, Johnny, go", "There go the twelve-bar blues", and "Elmore James got nothin’ on this baby." The innate simplicity of the song is charming but does not really live up to the standards that one would expect from a Beatles song. George seems to have wrote this on auto pilot for his wife Patti. Not really in the same league as what he was about to come up with – “Something”, “Here Comes The Sun” “My Sweet Lord” etc. The ukulele version of the song is a joyful affair. Taylor Pace is steeped in gospel music and the sheer joy of living comes through this recording. John Benthal’s remarkable ukulele is reminiscent of George Benson in his heyday and Shake Anderson’s triple play of electric piano, organ and piano completes the groove. I first saw Taylor Pace playing with the legendary Ruby Dee as she performed her remarkable spoken word at The Apollo Theatre in Harlem earlier this year. My old friend Shake Anderson who was also in that band insisted that TP should do a song. He was right to insist. This multi-instrumentalist was born into a musical family where at the age of 2 it was clear that music ran deep in his veins. As the son of a preacher and successful gospel musician, Taylor grew up singing and playing gospel music in his father’s church, yet his musical background is as varied and extensive as the stars in the sky. 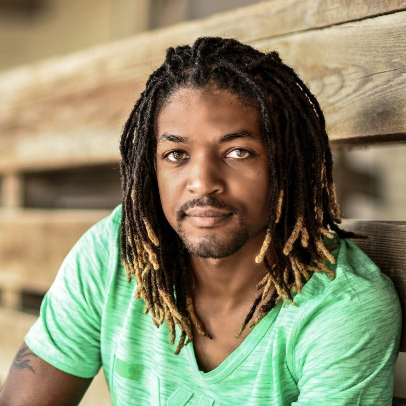 Taylor is a classically trained pianist, with a Bachelors degree in Jazz Studies (piano), and he is a self taught musician on the bass, drums, and guitar. Taylor is a lover of all music and it definitely comes through in his own music. He has worked with artist from all genres including Mario, Mya, The Seven Son’s of Soul, Geri Allen, Benny Golson, and a whole list of others. "Return of The Phoenix" might be Pace’s first solo album, but this artist is no novice when it comes to making music by, for, and from the soul.